Pastor Billy is passionate about introducing all people to Jesus and helping them grow in their relationship with Him. The love of Jesus transformed Pastor Billy's life in a powerful way when he was invited to church in high school. Since then, Pastor Billy continues to see the many ways God walks through life with His people. Pastor Billy is married to his amazing wife, Kristen, and has since had three extremely energetic children, Josiah, Addison, and Naomi. They can frequently be seen chasing after the kids throughout all of Bloomington-Normal. In his free time, Pastor Billy loves to swim, bike, and run! He also loves to complete home improvement projects, showing his kids how to help every step of the way. After all of that, he can be found recovering in from of a good football, basketball, or baseball game. "Therefore, if anyone is in Christ, the new creation has come: The old has gone, the new is here! All this is from God, who reconciled us to himself through Christ and gave us the ministry of reconciliation: that God was reconciling the world to himself in Christ, not counting people’s sins against them. And he has committed to us the message of reconciliation. We are therefore Christ’s ambassadors, as though God were making his appeal through us. We implore you on Christ’s behalf: Be reconciled to God. God made him who had no sin to be sin for us, so that in him we might become the righteousness of God." Kristen Newell is thrilled to be working in God’s kingdom by serving as Enrollment Coordinator at Trinity. She graduated from Concordia University Nebraska in 2008 with a BS in Secondary Education and a BA in Mathematics. She also has a Masters of Science in School Administration and recently completed the LCMS SLED program. Before coming to Trinity she served as middle school math and science teacher with a little Spanish and PE. Most recently she has had the joy and the privilege to stay home with her three children: Josiah, Addison, Naomi and Evelynn. She enjoys spending time with them and her husband Billy, especially if that time is spent being active outdoors. "What does the Lord require of you? To act justly and to love mercy and to walk humbly with your God." Mrs. Busse has been at Trinity since August 1995. She was raised in Waverly, IA, and graduated from Concordia University Nebraska (twice!) with a BS in Education in 1984 and a Masters in Early Childhood Education and Administration in 2006. She and her husband, Kurt, have the joy of serving together at Trinity and they have two grown children and a grandchild. Mr. Busse has been at Trinity since August of 1995. He was raised near Ft. Wayne, IN, attended Lutheran schools there (Wyneken, then Concordia H.S.) before attending Concordia College in Seward, Nebraska where he received his BS in Education. In 1990 he completed his Masters in Administration at Concordia University, River Forest (Chicago). He and his wife, Laura, have two grown children and have enjoyed serving together at Trinity. Sola Deo Gloria. Shawn Hoffmann is a 1995 graduate of Concordia University in River Forest. 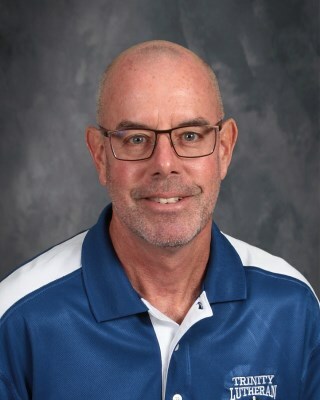 He has served as an administrator at Trinity since 2004. Previous to being principal, he taught 5th-8th grade science. Trinity is Shawn's first Call and he is so very thankful for the opportunity to serve here among some of the greatest parents, faculty, and staff he has ever met. To God be the Glory! Who shall separate us from the love of Christ? Shall trouble or hardship or persecution or famine or nakedness or danger or sword? For I am convinced that neither death nor life, neither angels nor demons, neither the present nor the future, nor any powers, neither height nor depth, nor anything else in all creation, will be able to separate us from the love of God that is in Christ Jesus our Lord. Pastor Wirsing was born and raised in Auburn, Michigan; growing up on a farm in the Saginaw Valley. He is a graduate of Concordia Junior College, Ann Arbor, Michigan; Concordia Senior College, Fort Wayne, Indiana; Concordia Seminary, St. Louis, Missouri. He has served at Trinity since 1995. On August 7, 1976, he was married to wife Janice from Dundee, Illinois. She is a teacher in Trinity's grade school. They have two children, Tara and Thomas. In his leisure time, Pastor Wirsing enjoys reading American history and painting pewter toy soldiers. "Rejoice in the Lord always. I will say it again: Rejoice!" Mrs. Lisa Matejka is a graduate of Eureka College and Illinois State University, with a bachelor’s of science in Mathematics (with Teacher Certification), and a master’s degree in Teaching and Learning, with a focus on using Design Thinking as a tool for integrated learning. Prior to joining the Trinity Lutheran School Family in 2015, Lisa taught mathematics, technology & engineering, and design; she is excited to bring each of those subjects into the junior high science classroom to enhance students’ understandings of the integrated nature of our world. 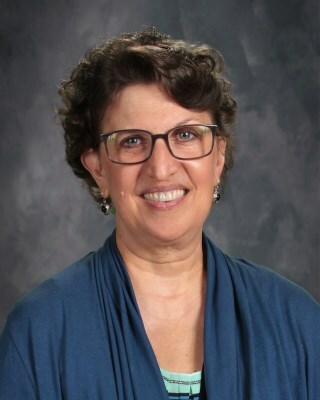 Mrs. Matejka feels blessed by the opportunity to work with students, teachers, and families at TLS in order to help develop well-rounded, lifetime Christian disciples who have the skills needed to make a positive difference in God’s world. Mrs. Matejka and her husband, Wes, live in Bloomington, with their two children Nicolas (Cole) and MacKenzie, both of whom attend TLS. Stephanie and her husband, Mike, were married at Trinity Lutheran Church in 1993. God blessed them with 3 boys, Matt, Mark, and Daniel, who are all TLS grads. Stephanie is the financial assistant at the school on Mondays and at the church on Thursdays. Have a wonderful school year! Jesus loves you!! “There are different kinds of gifts, but the same Spirit distributes them. There are different kinds of service, but the same Lord. There are different kinds of working, but in all of them and in everyone it is the same God at work.” We all belong to the body of Christ and play an important role in it! Pastor Terry has a huge heart for Missions and Encouraging others to be blessed by going on a mission trip! He can frequently be seen encouraging and equipping others to share the love of Jesus through words and actions! Pastor Terry is married to his great spouse and partner, Sandy, and they have 3 Married children and 3 awesome grandchildren! Pastor Terry cherishes spending time with his grandchildren and loves to go on long bike rides with Sandy! "In all these things we are more than conquerors through him who loved us. For I am convinced that neither death nor life, neither angels nor demons, neither the present nor the future, nor any powers, neither height nor depth, nor anything else in all creation, will be able to separate us from the love of God that is in Christ Jesus our Lord."